MI6 opened its doors to schoolchildren for the first time earlier this month, in a bid to dispel the perception that Secret Intelligence Service staff are only chosen via a “tap on the shoulder” at Oxbridge colleges. 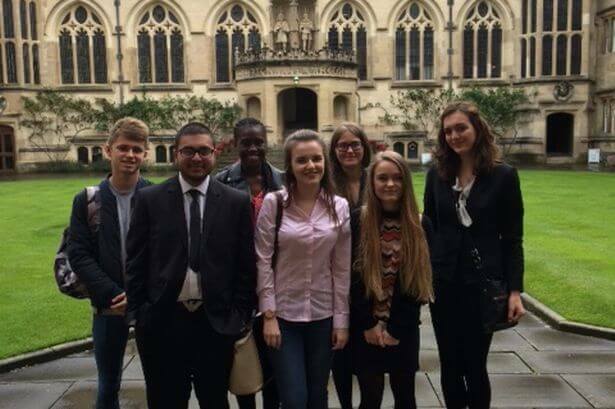 Seven pupils from some of the most deprived areas of Wales were invited to visit the MI6 headquarters during a week-long careers trip to the capital. They were not told of the visit until an hour beforehand. They spent 20 minutes speaking to Alex Younger, the MI6 Chief known as C, and also met the real Q who deals with spy equipment. Rebecca Parker, a 15-year-old pupil from Carmarthenshire, said the visit had been quite unexpected. Seven pupils from Wales were invited to shadow real-life operatives in Britain’s Secret Intelligence Service (SIS), better known as MI6. The Secret Intelligence Service wants to attract a wider range of recruits, amid fears that potentially successful candidates may be not be considering a career within the service. “The world of modern espionage requires a wide range of skills, and we need to broaden our recruitment to every corner of society to ensure we get the best people available to make sure we can defend the nation from a wide range of threats,” a senior intelligence official said.